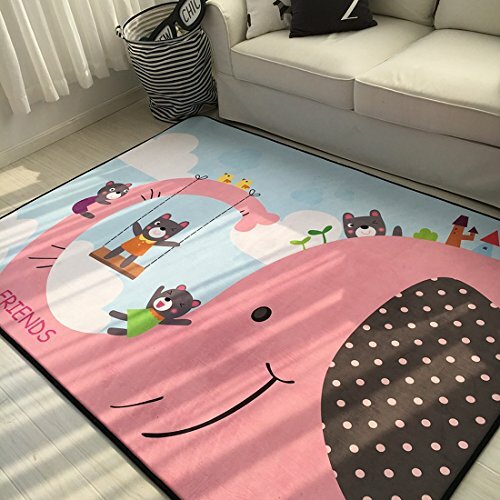 Description Soft floor surface for babies and children to play, especially for you who live in hardwood floors house, perfect for reducing noise and impact, and a great insulator on all floor surfaces. 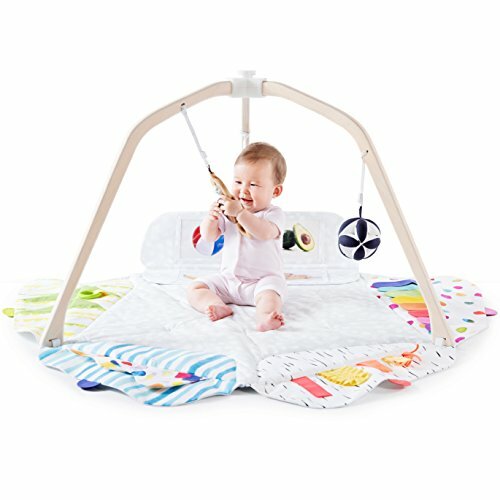 Ideal for encouraging crawling, rolling, sitting up, and learning to walk. 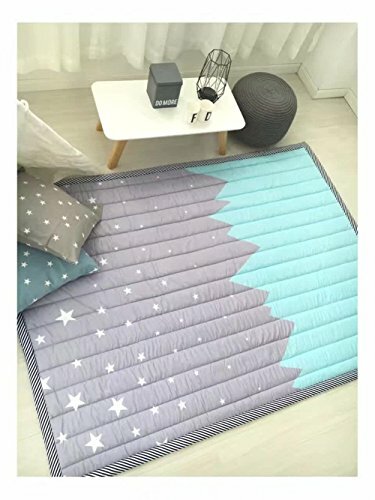 The cushioned surface ensures a soft landing for rolling, tumbling, and falls. Also it's comfy for you to lay on and play with your children. Note, Actual color may vary from the color on your screen due to monitor color restrictions. Easy Care Machine wash or hand wash with cold water; Do not bleach; Tumble dry, low heat; Do not dry-clean. After-sales Service 100% satisfaction, if you have any question please feel free to send message to our customer service, our team will provide professional solution to you in 24 hours. 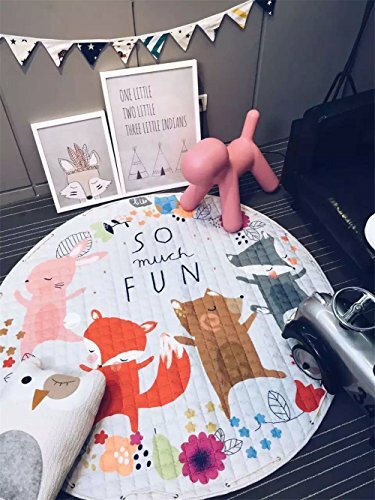 Children's environmental protection pad, the original Nordic cartoon pattern, more simple fashionUnique thickening frame design, more durableGoddess yoga, sunshine room, sun, camera background preferredEPSON environmental protection printing process: imported knitted cotton embroidery, thickened more soft, quilted car computer encryption technology is more durable, non slip bottom high density fiber cloth can be washed. 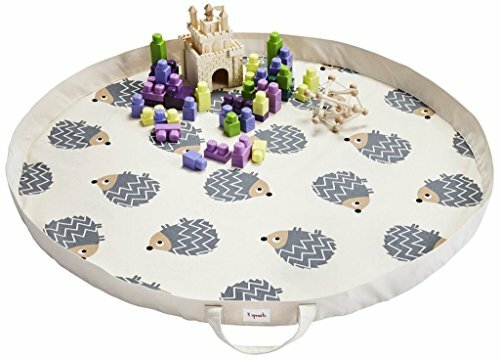 A great toy storage bag which doubles as a play mat - an easy way to keep toys in one place, ready for play. The sturdy cotton and handles make it easy to carry from room to room. Its portable, hard wearing design also makes it the perfect storage bag for all those tiny pieces of Lego. Just place the full bag on the floor and open it out into a playing space, once the kids are finished playing just fold the bag & put it away. Material:Crystal wool + Compressed cotton Size:120x80cm/47.24''X31.49''(appr.) 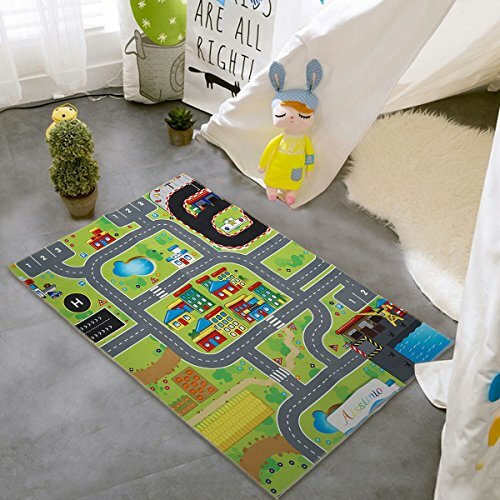 Extra Thick Fine Quality, non-slip Color:Colorful Package included: 1 Pcs Play Mat Multi-terrain scene includes Roads, construction site, Community building, and more Ideal for game mat, crawling blanket, stroller blanket, covers in air-conditioned room, multifunctional usage. Use: Living room Bedroom Study Office Children's room Features: Bright color, durable, environmentally friendly, easy to clean How to clean: Suction twice a week with a vacuum cleaner, if stubborn stains, take a clean light-colored cloth, wipe the water and cleaned it will be ok. Notice: Please allow 1-5cm error due to manual measurement and make sure you do not mind before ordering. Please understand that colors may exist chromatic aberration as the different placement of pictures. 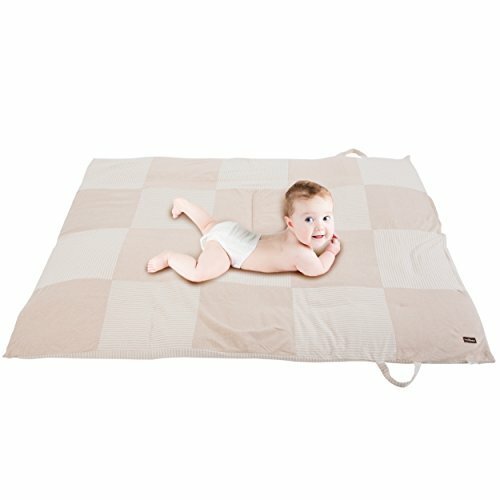 Looking for more Cotton Playmat similar ideas? Try to explore these searches: Wwi Propaganda Posters, White Dry Erase, and Brown Tahitian Pearl Earrings. 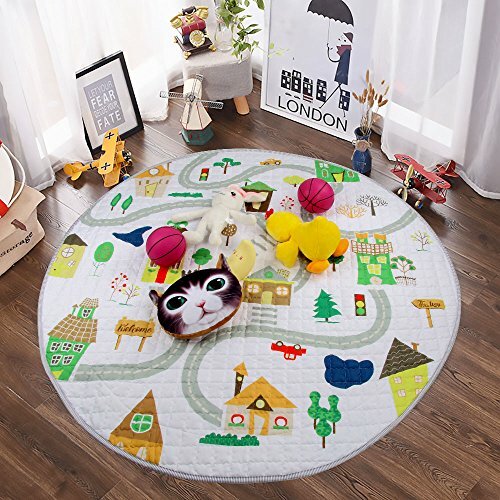 Look at latest related video about Cotton Playmat. Shopwizion.com is the smartest way for online shopping: compare prices of leading online shops for best deals around the web. 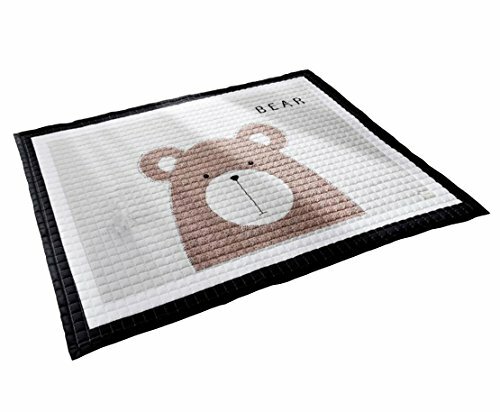 Don't miss TOP Cotton Playmat deals, updated daily.